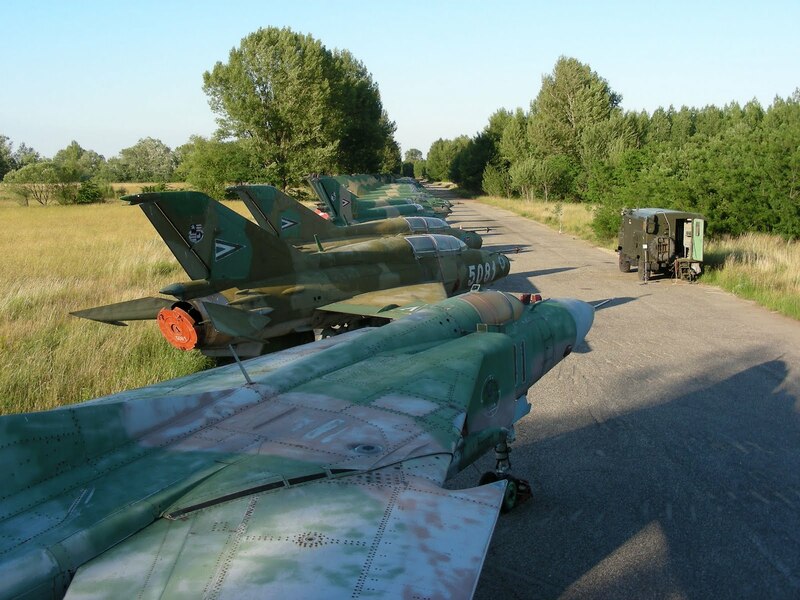 To Hungary and to Papa AFB located around 115km exactly to the west of the capital Budapest. Attractive linear boneyard of withdrawn Mig's and Su's exists in this base. More than 40 Mig-21's (most are bis and very few UM's) stored and lined in the side road leads to bunkers, fuselage of these Mig's is in good condition but of course no air force might be interested in them. 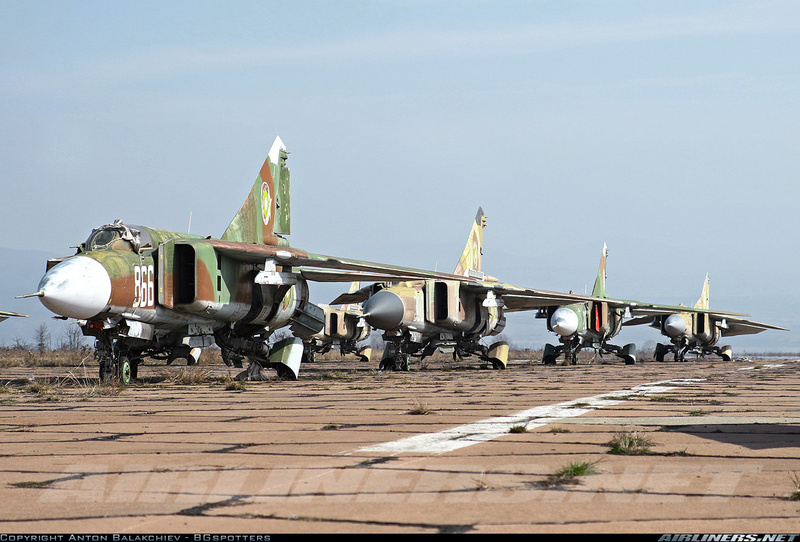 Aside, there are numbers of Mig-23MF's and Su-22M3's also phased out since 1997. The Mig-21 is a very interesting aircraft for its reliability and low maintenance cost especially that few programs (21-93 / 2000 / LanceR...) would upgrade its avionics and weaponry to compete even 4th generation fighters. 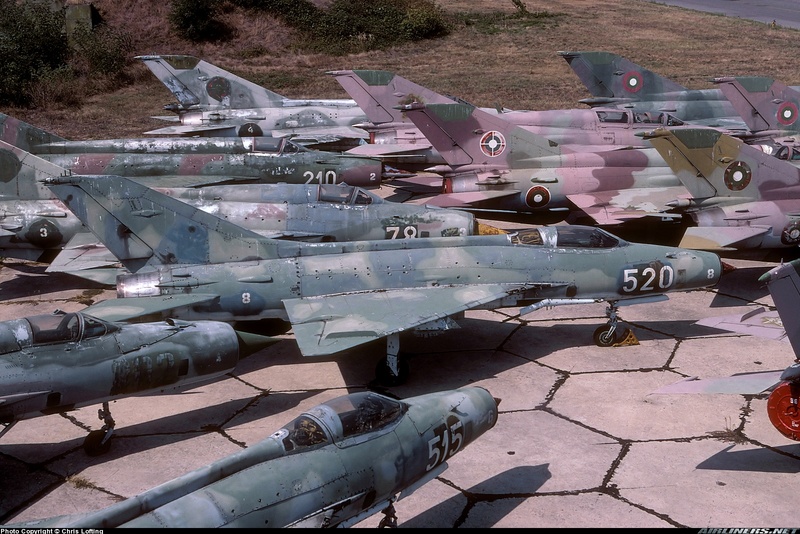 Another Aerial view for the same base dated 2008 shows the same stored Mig's prior to tow them to their new boneyard. 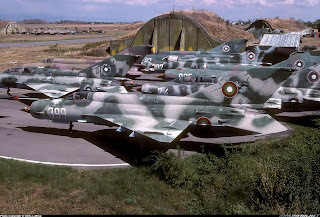 Note that red-capping air intake holes, pitto tubes, lights, and antennas means that aircrafts are in storage phase. Always thanks to Monox for his permission to use his great photos. 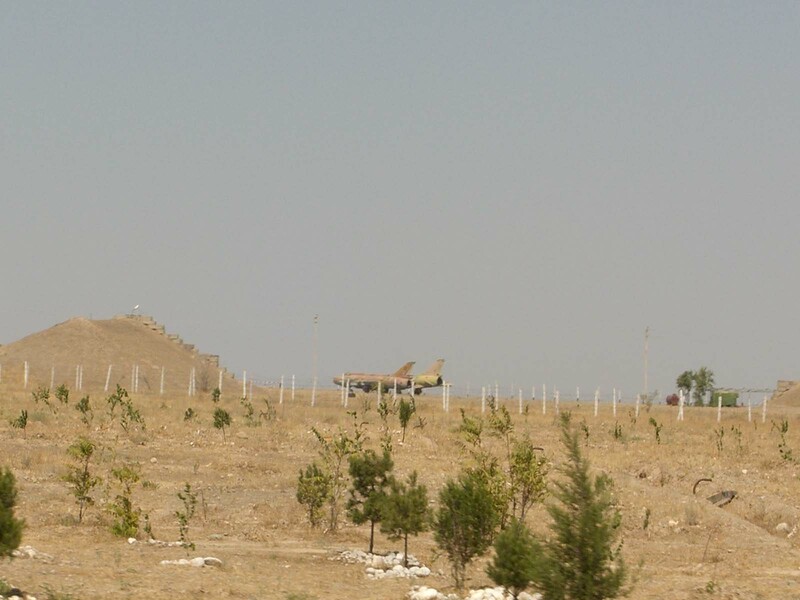 Just few hours ago, GE updated Neyrab AFB image dated June 2011 near Aleppo in which a SyAAF MiG-29 first to be seen in an aerial view in a Syrian air base. 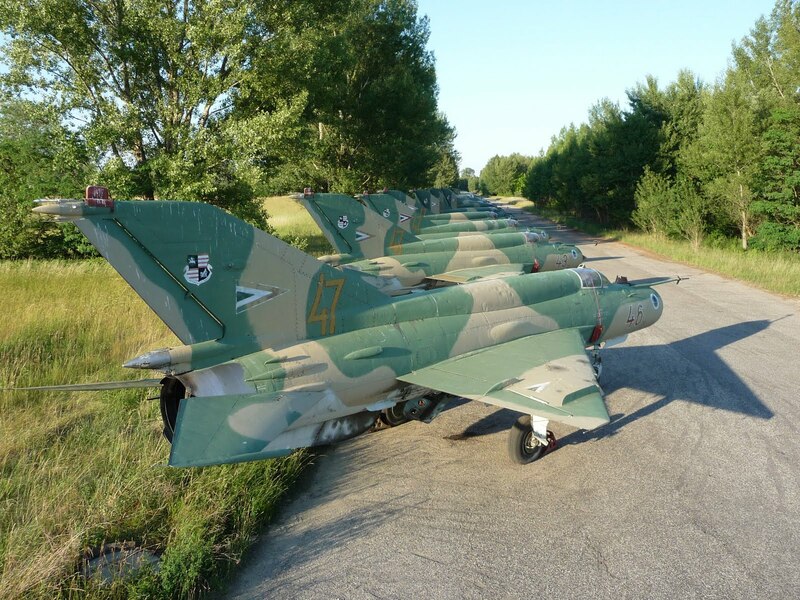 The inventory of this AB also includes 15 MiG-23MLD/UB's and one MiG-21 in addition to 2 helos just overhauled and repainted. More and more Eye-Catching AFB's can be found while navigating GE. 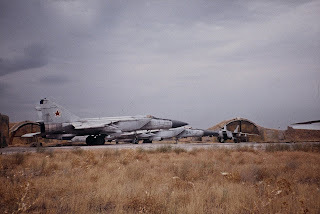 This time, moving to east to the former Soviet republics; the 604th AFB Taldy Kurgan which is located in the middle of the eastern Almaty province in Kazakhstan. Around 100 MiG-27s are stored in this base those were forming the 129th fighter-bomber regiment together with the Su-27 fleet. 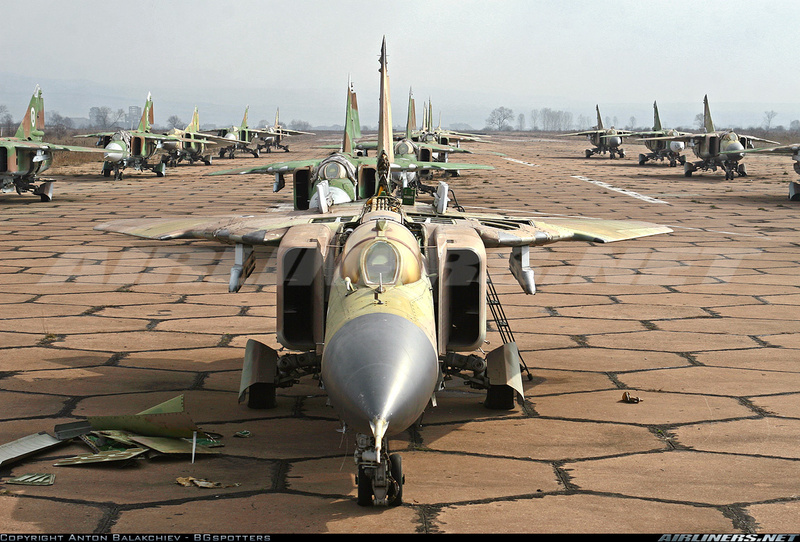 To the south, to Turkmenistan and in the suburbs of the capital Ashkhabad, Bezmein AFB which contains various phased-out aircrafts. 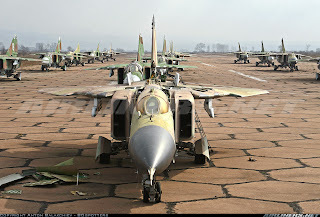 Turkmenistan should open the AFB for public as it contains most of Jet-era aircrafts served in this territory such as MiG-21, 23, 25, 27 Su-7, 17, 25 in addition to gunships and some trainer jets. 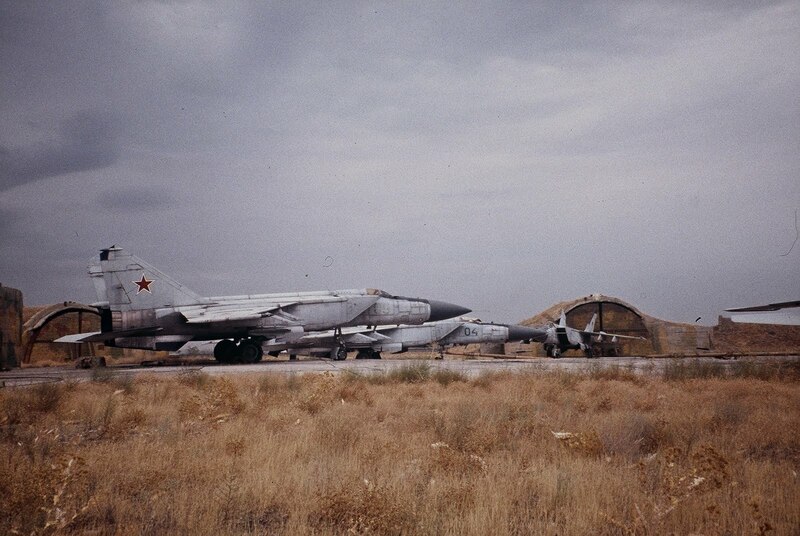 Above 2 Sukhois: the closer is Su-17 while the further looks Su-7..!?!? 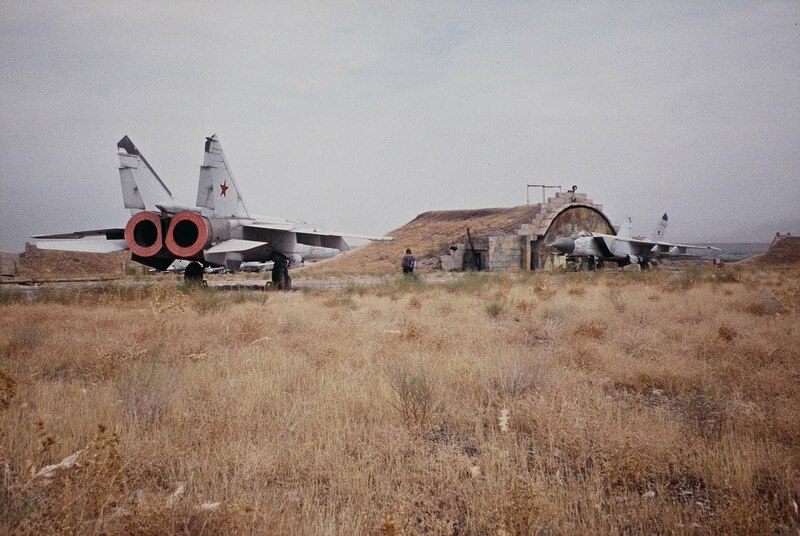 An old photo shows stored MiG-25PDs beside HASs before they were towed and gathered else where in this base as shown in the map above. 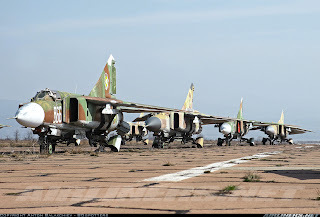 If you have a glance on Turkmenistan bases you'll find out that they contains 100's of phased out aircrafts, seems that every base has its own storage area. 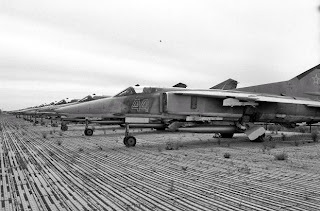 Unfortunately I couldn't find any photo for phased-out / stored MiG-23, 27's in Kizyl Arvat AFB located around 220kms to the northern east of Ashkhadab city which is considered the biggest storage base in Turkmenistan. 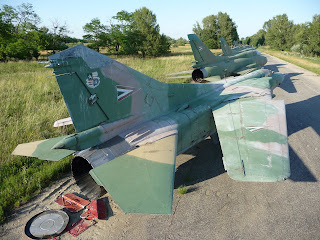 Even have been too busy the last few days but could rip off few hours each day to prepare few new topics will be posted shortly, resuming the Eye-Catching series with two attractive bases in Bulgaria. The first one is Graf Ignatievo which belongs to Maritsa Munc. about 120km to the southern east of the capital Sofia. 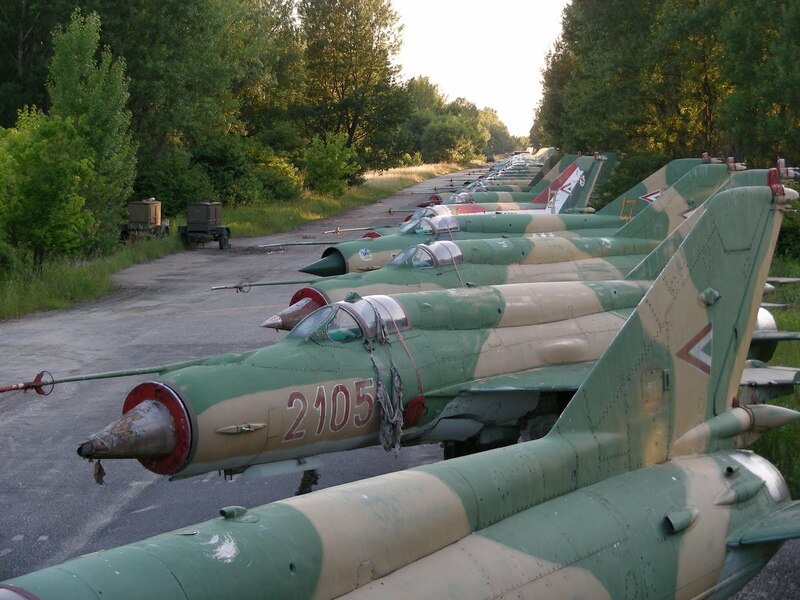 Since early 2000s more than 60 Mig-21's of different variants (PFM, UM, Bis) are stored in this base. 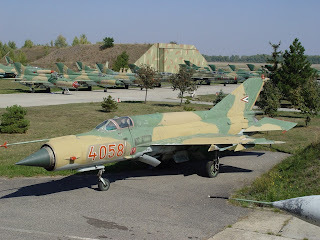 BAF used to receive and operate more than 220 Mig-21s delivered in waves from 1960s, large number of this aircraft were cut for scrap after the downfall in late 1980s after the end of the Cold War. The second AFB is Kumaritsa which is only 14km to the north of the capital Sofia. Unfortunately, this AFB witnessed the demolition of Mig-23s with many MLD's were among; it's remarkable to mention that Bulgaria and Syria were the only clients (aside the Soviet Union former nations) to acquire and operate the MLD variant. 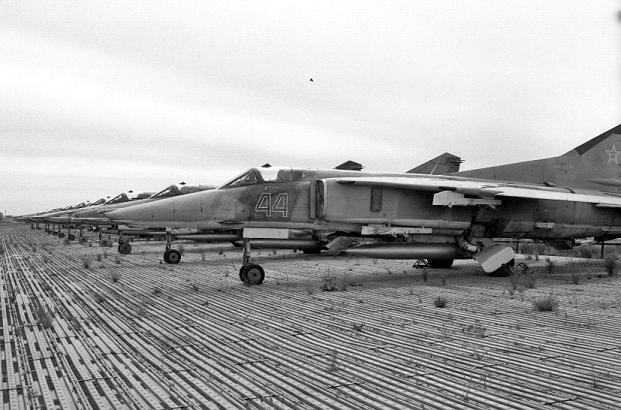 Scrapping of around 20 Mig-23s started in mid March 2007, just few months later these beasts were vanished. Many thanks to Chris & Anton for their permission to use these great photos.